The end leg of my trip through Spain during my student exchange ends with trips to Madrid the Capital of Spain and Girona. Madrid has a bigger population than Barcelona but it oddly seems smaller due to its size. It feels kind of like the Ottawa of Canada with more emphasis on the arts, government and history. The size of Madrid made it possible for me to pretty much walk around the entire city with no problem. On my first roam around Madrid getting lost a couple times because of weird diagonal streets I saw a lot of roundabouts with beautiful structures in the middle of them and went to a big flea market called El Rastro that sold pretty much everything imaginable. 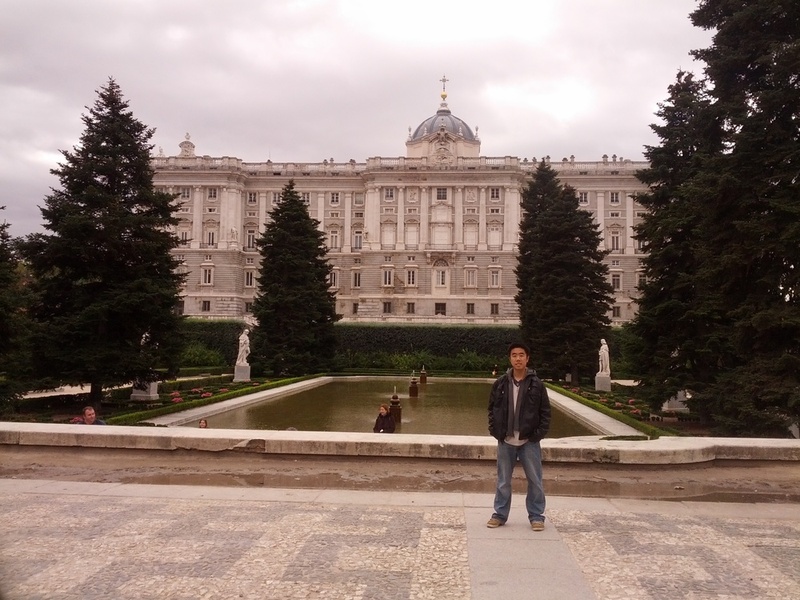 Some points of interest are the Royal Palace of Madrid, Plaza Mayor, the parks like the Buen Retiro Park that had peacocks in it, the huge number of museums and the market of San Miguel where I had Churros for the first time and saw the scariest fish ever. One thing that was cool about the museums were some of the them like the Prado Museum are free after a certain time. I even met up with a friend from University who was also on exchange and ate some tapas with him in the city centre. 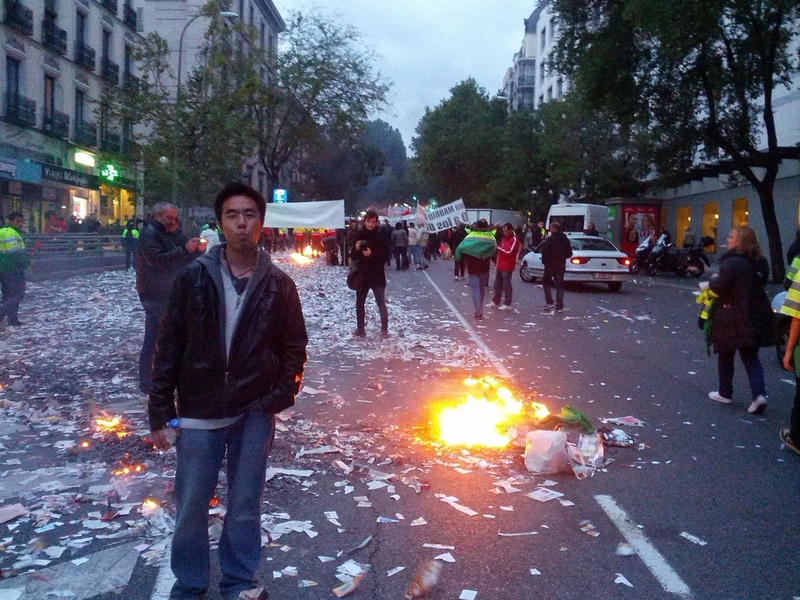 One of the most random things that happened was we ended up right in the middle of a riot with fire and angry people demanding change on their wages from what I could make out. 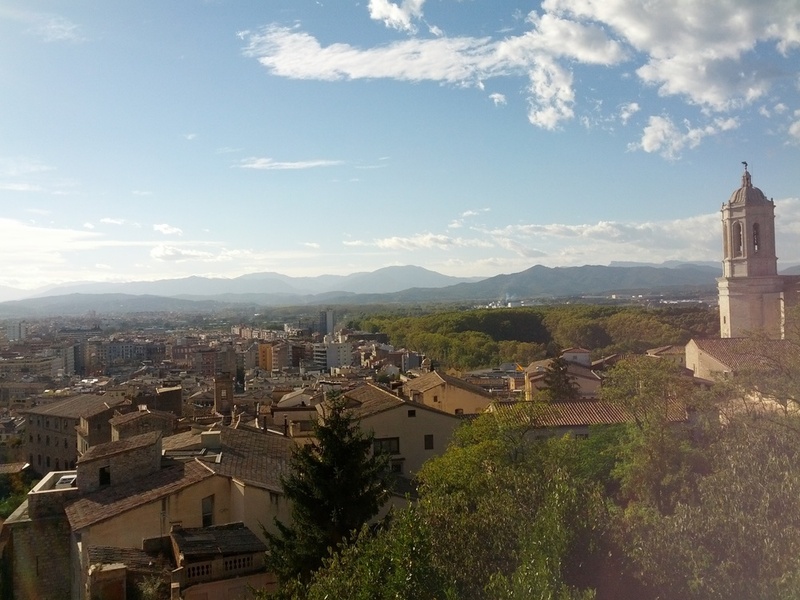 Girona is the last stop on our epic 2 week Spain trip. At this point I as exhausted and needed to go back to Manchester to recharge. Girona is a small city that has got some nice views but overall not too much going on but some old architecture, the Girona Cathedral, castle walls that you can climb (felt like the mediocre wall of Spain) and the Onyar, which is where the colourful river houses are. 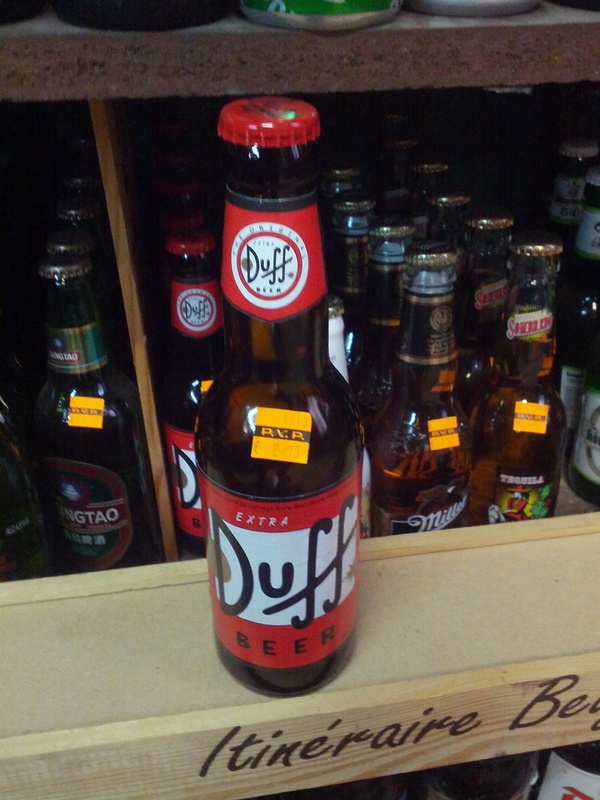 In one of the small shops I even found Duff beer but got caught taking the picture and got kicked out of the store by this old man. After the quick day we headed to the airport and landed back in Manchester to "study". Cheers. Food/People: The churros that I tried in Madrid was OK nothing special. The chocolate was nice and warm but the actual fried stick didn't have much taste, it was like eating nothing. I would much rather have fried dough with congee to be honest but that's a biased opinion. The tapas place I ate in Madrid was very cheap and good, it was like the McDonalds of Tapas. I would highly recommend it, the chain is called 100 Montaditos.